On June 6, 1944, the greatest armada in history stood off Normandy and the largest amphibious invasion ever began as 107,000 men aboard 6,000 ships pressed toward the coast. Among them were 14,500 Canadians, who were to land on a five-mile-long stretch of rocky ledges fronted by a dangerously exposed beach. Drawing on personal diaries as well as military records, Juno Beach: Canada's D-Day Victory, June 6, 1944 dramatically depicts Canada's pivotal contribution to the critical Allied battle of World War II. On July 10, 1943, two great Allied armadas of over 2,000 ships readied to invade Sicily. This was Operation Husky, the first step toward winning a toehold in fascist-occupied Europe. Among the invaders were 20,000 Canadian troops serving in the First Canadian Infantry Division and First Canadian Tank Brigade - in their first combat experience. Over the next 28 days, the Allied troops carved a path through the rugged land, despite fierce German opposition. At D-Day's end, the Canadians, who had landed on Juno Beach, were six miles inland - the deepest penetration achieved by Allied forces on this infamous day. But every soldier on this front line knew worse was yet to come. For in the darkness the Germans were massing, intent on throwing them back to sea. 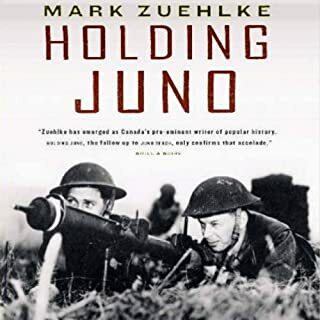 With dramatic intensity, Holding Juno re-creates the ensuing battle and ultimate Canadian triumph and includes fascinating first-person soldier accounts as well as photos and maps. For the Allied armies fighting their way up the Italian boot in early 1944, Rome was the prize that could only be won through a massive offensive. 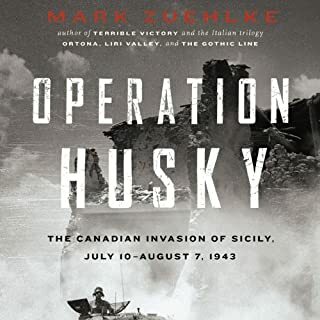 Military historian Mark Zuehlke returns to the Mediterranean theater of World War II with this gripping tribute to the Canadians who opened the way for the Allies to take Rome. The book is a fitting testament to the bravery of soldiers like the badly wounded Captain Pierre Potvin, who survived more than 30 hours alone on the battlefield. The liberation of Europe and the destruction of the Third Reich is a story of courage and enduring triumph, of calamity and miscalculation. In this first volume of the Liberation Trilogy, Rick Atkinson shows why no modern learner can understand the ultimate victory of the Allied powers without a grasp of the great drama that unfolded in North Africa in 1942 and 1943. That first year of the Allied war was a pivotal point in American history, the moment when the United States began to act like a great power. 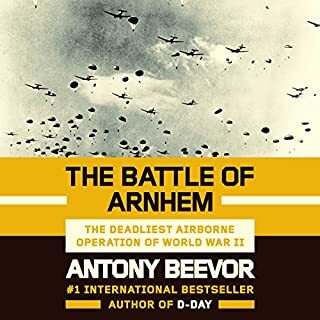 On September 4, 1944, Antwerp, Europe’s largest port, fell to the Second British Army and it seemed the war would soon be won. But Antwerp was of little value unless the West Scheldt Estuary linking it to the North Sea was also in Allied hands. In his greatest blunder of the war, Field Marshal Montgomery turned his back on the port, leaving the First Canadian Army to fight its way up the long coastal flank. By the time the Canadians and others serving with them reached the area, it had been transformed into a fortress manned by troops ordered to fight to the death. At the beginning of the twentieth century, the continent of Africa was a hotbed of international trade, colonialism, and political gamesmanship. So when World War I broke out, the European powers were forced to contend with each other not just in the bloody trenches - but in the treacherous jungle. And it was in that unforgiving land that General Paul von Lettow-Vorbeck would make history. Well Written, Well Read, Well Done! Nazi Germany expected its airborne attack on Crete in 1941 to be a textbook victory based on tactical surprise. Little did they know that the British, using Ultra intercepts, had already laid a careful trap. It should have been the first German defeat of the war, but a fatal misunderstanding turned the battle around. Stretching like an armor-toothed belt across Italy's upper thigh, the Gothic Line was the most fortified position the German army had yet thrown into the Allied forces' path. On August 25, 1944, it fell to Canadian troops to spearhead a major offensive: to rip through that fiercely defended line. This gripping chronicle tells, through the eyes of the soldiers who fought there, of the 28-day clash that ultimately ended in glory for the Canadians. 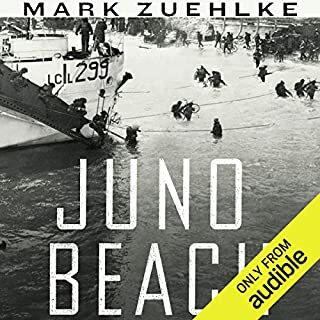 With its trademark "you are there" style, Mark Zuehlke's 10th Canadian Battle Series volume tells the story of the 1942 Dieppe raid. Nicknamed "The Poor Man's Monte Carlo", Dieppe had no strategic importance, but with the Soviet Union thrown on the ropes by German invasion and America having just entered the war, Britain was under intense pressure to launch a major cross-Channel attack against France. Since 1939, Canadian troops had massed in Britain and trained for the inevitable day of the mass invasion of Europe that would finally occur in 1944. The Tank Killers follows the men who fought in the tank destroyers from the formation of the force in 1941 through the victory over the Third Reich in 1945. 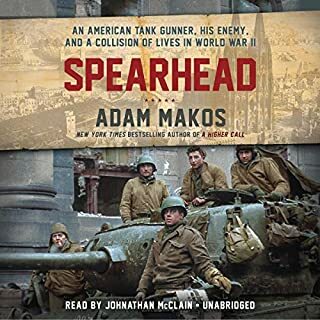 It is a story of the American Tank Destroyer Force in North Africa, Italy, and the European Theater during World War II, and of American flexibility and pragmatism in military affairs. A nine-time finalist for the prestigious Audie Awards for audiobook performance, performer William Dufris brings his authoritative but gentle tone to a harrowing account of hand-to-hand warfare during a decisive World War II Battle. 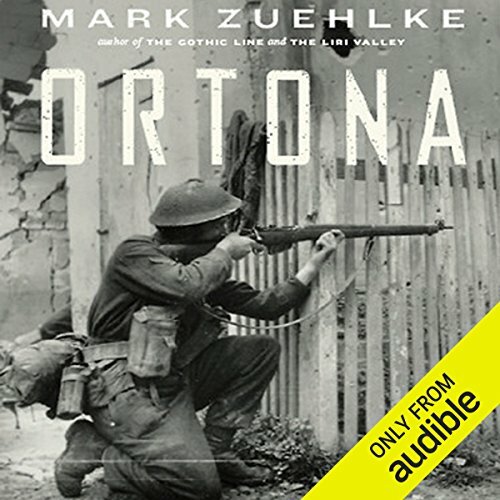 Ortona is the story of Canada’s heartbreaking but ultimately heroic contribution to the Allied war effort in the port town of Ortona, Italy, over one week in December 1943. Master Canadian military historian and novelist Mark Zuehlke has assembled his chronicle from a wealth of sources, including interviews with soldiers from all sides of the conflict. For its studious evocations of the battle itself to the lovingly rendered details of the men involved, Ortona is sure to be of interest to any student of the "peak experience" that is warfare. In one furious week of fighting in December 1943, the First Canadian Infantry Division took Ortona, Italy, from elite German paratroopers ordered to hold the medieval port at all costs. When the battle was over, the Canadians emerged victorious despite heavy losses. Over 2,500 Canadians died or were wounded there. 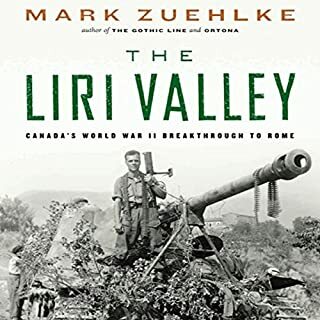 Military historian Mark Zuehlke blends reminiscences of the Canadians, Germans, and Italians who were there together with a blow-by-blow account of the fighting to create a harrowing, ultimately hopeful rendering of one of World War II's defining moments. ©2004 Mark Zuehlke (P)2011 Audible, Inc. I enjoyed this book very much. We usually don't hear about what other countries did in WWII.I would recommend this book to others. Another great read. Mark sets a high bar for everyone of his books and meets it every time. I really enjoyed this one and is a must read for all Canadians. This book is a great history on the events at Ortona. I heard the names of many find Canadians known to my forefathers that fought in Italy. Thankful that the author and a fellow regimental officer, Mike Boire took the time to capture this costly battle in Canadian. history. Bravo Zulu. I enjoyed this audio book very much. The story of what the Canadians went through to break through the German lines was one I only heard of from my mother as my grandfather passed away when I was five. While the performer did mispronounce some Canadian terms and institutions, his tempo and pace kept you on the edge of the story as it progressed. I would recommend this book to all people who want to understand what it was truly like in the Second World War. It was not the glamor that we see in the old movies. Thank you for producing this. I was amazed that I hadn't heard about the epic battle in Italy and the heroic efforts by Canadian troops including the Loyal Edmonton's...fantastic and fantastically narrated! This book is a well put together and written account of the Canadian battle for Ortona. What is notable is that a non-Canadian narrator was selected. names of institutions and places are badly mispronounced, and he continuously pronounces 'lieutenant' in the American way, rather than that of the Commonwealth (pronounced: Lef-tenant)". As other comments mentioned, he also struggles at times with common English words. These mistakes take away from the story, and make it feel less of a Canadian Epic, and more of an American teacher trying to give you a history lesson. Great piece of literature, but maybe next time have a Canadian read a Canadian book by a Canadian author about a Canadian battle. What was one of the most memorable moments of Ortona? Christmas Dinner with the Seaforth Highlanders, the Fallschirmjager defense of the city, "mouseholing" technique developed by Canadians in order to advance through the city. What didn’t you like about William Dufris’s performance? He is very distracting, almost as if his voice were constrained and reading were difficult to do. He seems unable to speak many common words, such as "the." He sounds clipped and awkward, and some sentences are almost unintelligible. I will never listen to a story narrated by this man again. Did Ortona inspire you to do anything? I am a WWII reenactor, and am now more enthusiastic in efforts to portray at a reenactment the Canadian infantryman.